LOS ANGELES (December 8, 2015) — The GRAMMY Museum® will honor the life and career of multiple GRAMMY® Award-winning singer/songwriter Otis Redding with a new exhibit opening Friday, January 22, 2016. On display on the Museum’s fourth floor through September 2016, Respect! : Otis Redding and the Revolution of Soul will offer visitors a unique look at the influential career of the legendary King of Soul™, and the lasting impact he made on music and pop culture in such a short period of time. “My father’s first GRAMMY was awarded at the 11th GRAMMY Awards® in March 1969, almost 47 years ago. To be able to unveil this exhibit, which represents his professional and personal legacy, in the weeks prior to the 58th GRAMMY Awards, means the world to us,” said Otis Redding’s daughter, Karla Redding-Andrews, Executive Director of the Otis Redding Foundation. 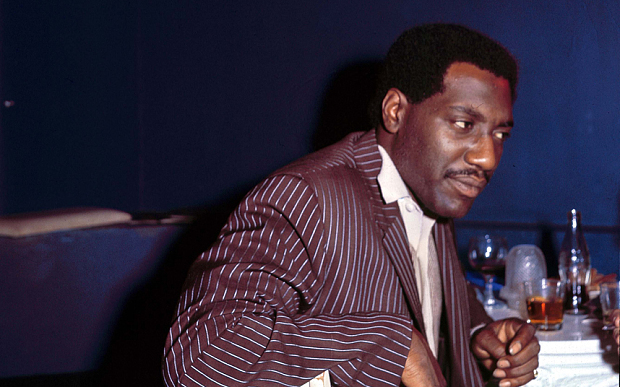 “I hope the exhibit depicting my husband’s legacy will continue to forever influence musicians around the world, including those nominees and winners for the 58th GRAMMY Awards,” added Zelma Redding, Executor of the Otis Redding Estate. The Redding Estate and Otis Redding Foundation will present Celebrating 75 Years of Otis Redding in Macon, Ga., September 9-11, 2016 with the highlight of the weekend being An Evening of Respect, tribute concert featuring celebrity guests on Saturday. All proceeds benefit the Otis Redding Foundation and the new Otis Redding Center for Creative Arts. More information is available at www.otisreddingfoundation.org/eor.